David and Janiece Brown founded Champagne Creek Cellars in 2001. The winery was named after a nearby stream and located in an 1800’s era barn near Roseburg in the Umpqua Valley. The winery had a long tradition. From 1981-1987 it had been Garden Valley Winery. Then from 1987 -1990’s Callahan Ridge Winery was there. The winery was abandoned until Champagne Creek was established. David Brown was the winemaker. He had started making wine in high school. 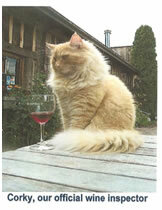 He won a number of awards for his wines. 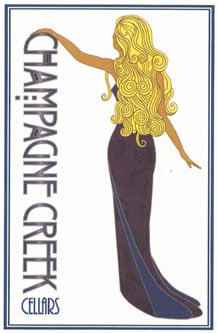 Champagne Creek marketed “amazing wines at amazing prices”. Champagne Creek Cellars ceased operating in 2008. It was located at 340 Busenbark Lane, Roseburg, Oregon.